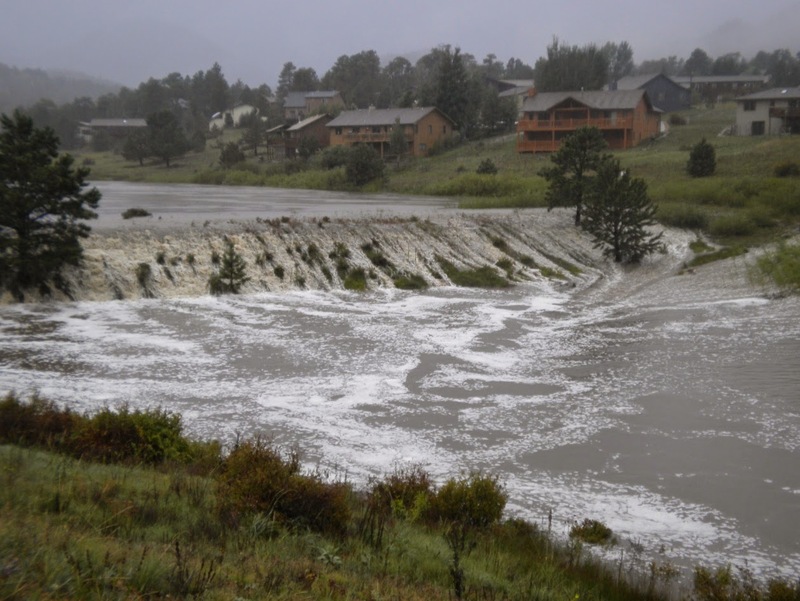 Colorado Emergency Management: Dam Safety: Are you prepared for a dam emergency? Information provided by the Colorado Department of Natural Resources' Dam Safety Branch. If you live in Colorado you are aware of the above average precipitation we have had and the saturated conditions of our ground in much of the state. Rivers are running high as is typical for this time of year, and the added moisture is making flooding more likely than ever. These conditions put added pressure on dams. The extra runoff can make streams run that normally don’t and fill small ponds and reservoirs that are typically dry. 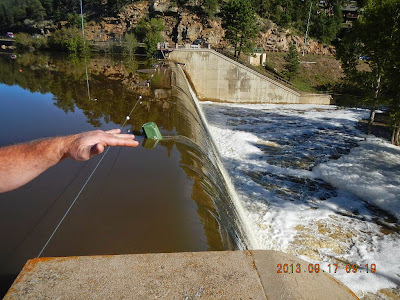 Below are some facts about dams and preparations and actions that community members can take to keep themselves and their neighbors out of harm’s way in the event of a dam emergency in their area. The larger dams you see in your area with large concrete structures and wide open spillways were designed for extreme amounts of rain. Those structures were designed specifically handle and safely pass the volumes of rain and moisture we are currently experiencing. Smaller neighborhood dams, farm ponds, livestock ponds and erosion control ponds are less hazardous due to their small size, but can still be dangerous if someone finds themselves in the wrong place at the wrong time. Water flowing from spillways, outlet works or even over a dam generally follow established and defined stream channels or drainage paths. Now is a great time to make yourself aware of your surroundings and the likely numerous dams in your area. Take notice of reservoirs in your area and areas of normal travel and recreation. Take notice of the stream channels and drainage ways that affect you every day. Seek out sources of current weather information and stay tuned to those sources when conditions dictate. Never travel in or cross a flooded area or a path of moving water on foot or in a vehicle, Turn around, don’t drown! Normal safe operation of a dam with water flowing past the dam through the defined spillway structure. An earthen dam being overtopped. This is an emergency condition and should be reported and treated with extreme caution.